I cut size 6 without alterations. Since I’m petite, this top may come across as a bit short short on other people. 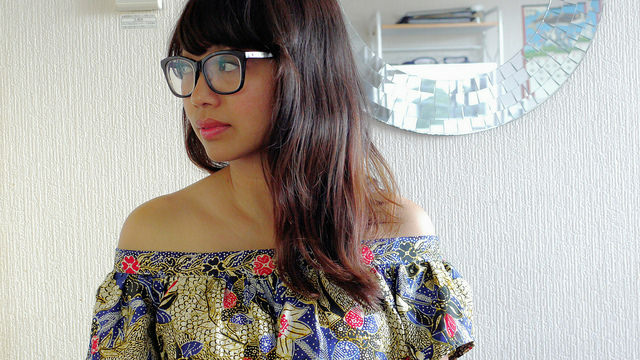 The fabric is Indonesian cotton batik with floral pattern from my stash. The pattern is quite straightforward and not complicated at all. Basically you sew the sleeves to the front and back bodice, gather the front bodice, attach the shoulder band with inserted elastic on the back part, and then sew the side seams together. I love how the shoulder band is flat on the front and has elastic on the back. 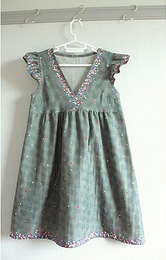 The pattern also comes with suggested elastic length for each size. 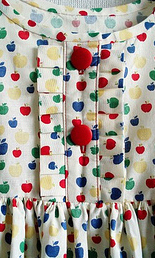 This is such a great top to wear with denim for summer. 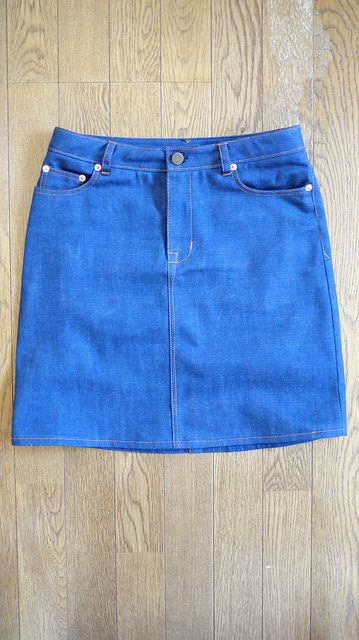 I already have several denim pants, so this time I wanted to make a denim skirt. 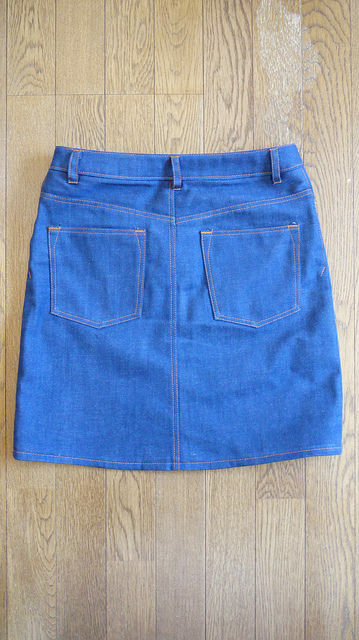 This is a classic denim skirt with A-line shape with five pockets and zipper fly closure. 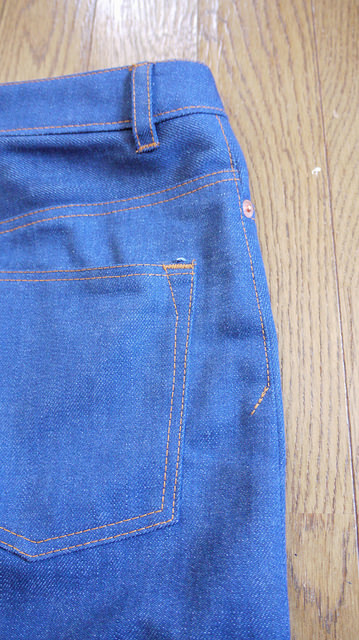 I cut size 6 and widened the waist part a little bit. The hem was shortened a lot because I’m petite. 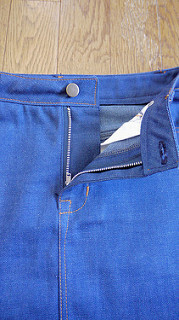 As I have made several denim pants, I didn’t really looked at the instructions and just sewed it the way I have used to. 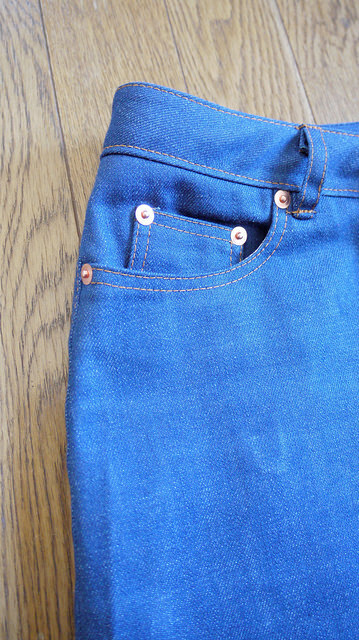 One of my favourite thing to do is making all the details on denim pants or skirt. So I made sure to put all the necessary details: metal zipper, metal button, rivets, and all the topstitching. I wish I could do this all day! 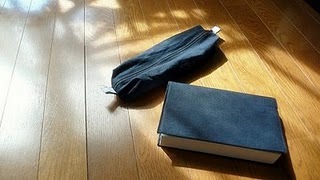 I’m quite happy with the result, no complaints at all. A perfect outfit for strolling along the street in summer. The skirt is not too bike-friendly, but I can still manage! 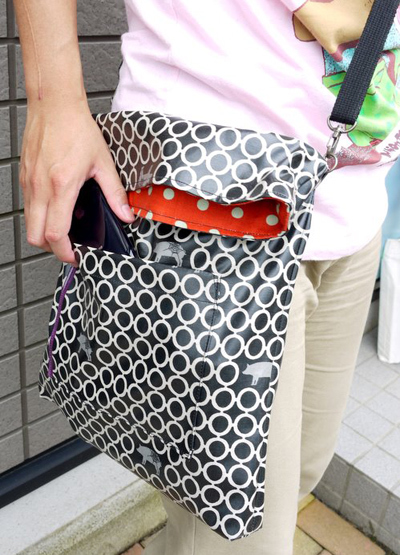 Style Arc’s patterns in paper form are also available on their website.